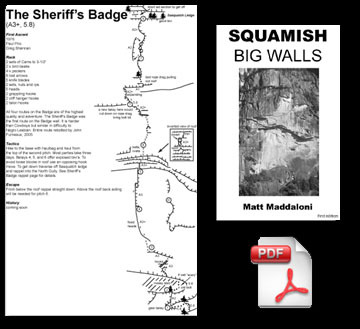 Finally Squamish has it's own aid climbing guidebook. Highly detailed topos of every long aid route on the Chief plus overview photos showing route lines, aid climbing tips, specialized gear and difficulty comparisons. Download the high resolution PDF of the guide book so you can print off copies of individual pages for the wall or zoom in for greater detail.